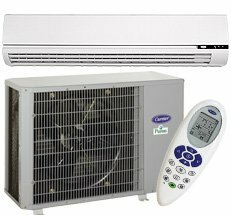 Ductless Air Conditioners and Split Systems – E&B Heating & Air, Inc. 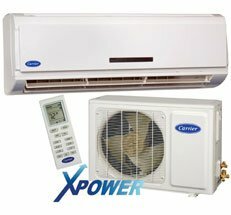 The 40QNQ high wall indoor unit can be matched with the 38QRF heat pump. If features up to 4 fan speeds and there are many convenience features built-in like the timed start/stop on its wireless remote. Performance series models offer the perfect balance of features versus price. 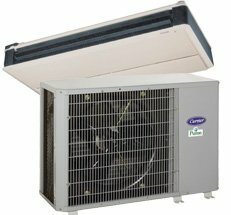 With line lengths of up to 200', this in-ceiling cassette, heat pump system can go just about anywhere. 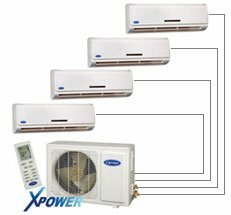 The Xpower Duct-Free High Wall System with Inverter Technology is a 16 SEER, duct-free, high wall split system, with inverter technologies which varies compressor speed to match the load and keeps the system operating continuously rather than cycling, which can create temperature swings. 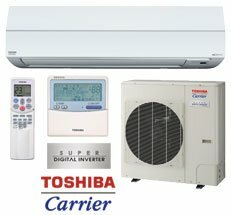 The ultra-quiet Toshiba Carrier highwall is our most efficient ductless system. 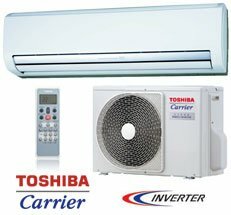 It features a convenient wireless remote and great comfort options including 5 fan speeds and a turbo-mode for when you need to adjust the temperature quickly. 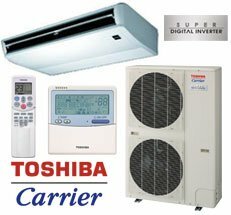 It's perfect for that new room space or a too-warm area like a sunroom because installation is minimally invasive and, of course, no ductwork is needed. 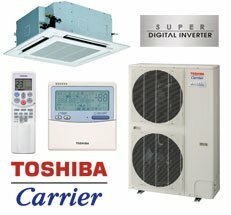 Toshiba-Carrier RAV series high wall systems deliver high-efficiency and comfort driven by Super Digital Inverter technology. 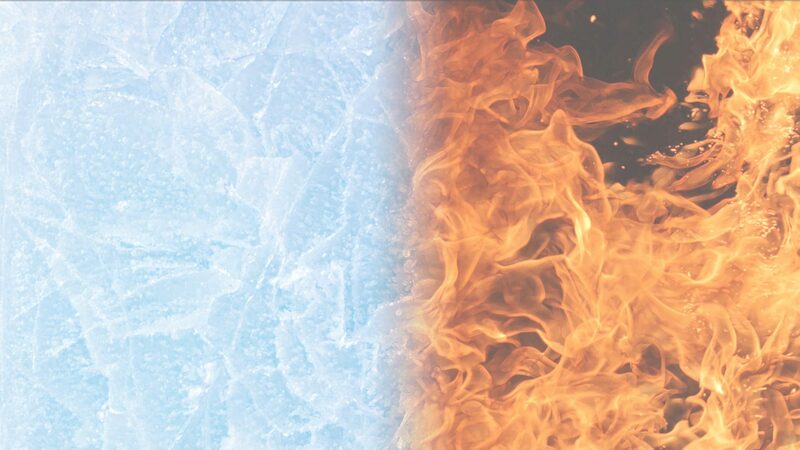 RAV series high walls provide flexible installation with optional wired controller, up to 245′ refrigerant lines and 5° low ambient operation.